1. 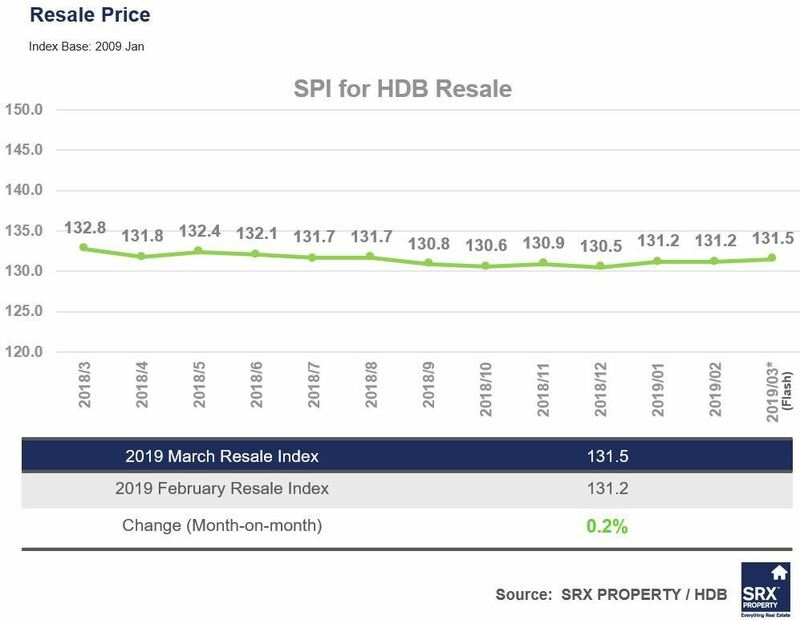 HDB resale prices increase by 0.2% in March 2019 over February 2019. 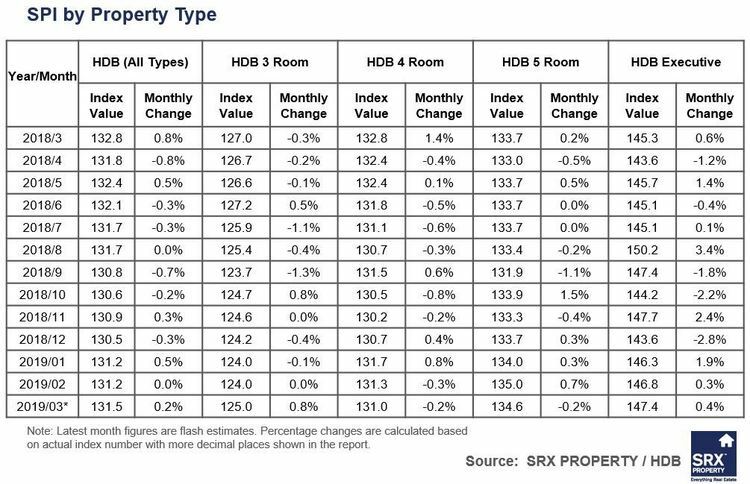 HDB 3 Rooms and Executives prices rise by 0.8% and 0.4% respectively, while the prices of 4 Rooms and 5 Rooms both dropped by 0.2%. 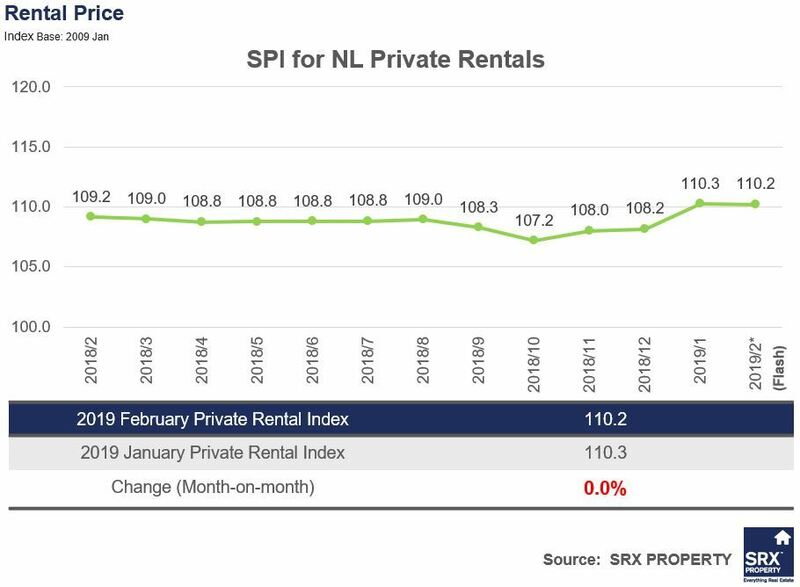 Those located in Mature Estates decreased by 0.1%, however, those in Non-Mature Estates increased by 0.5% as compared to February 2019. 2. 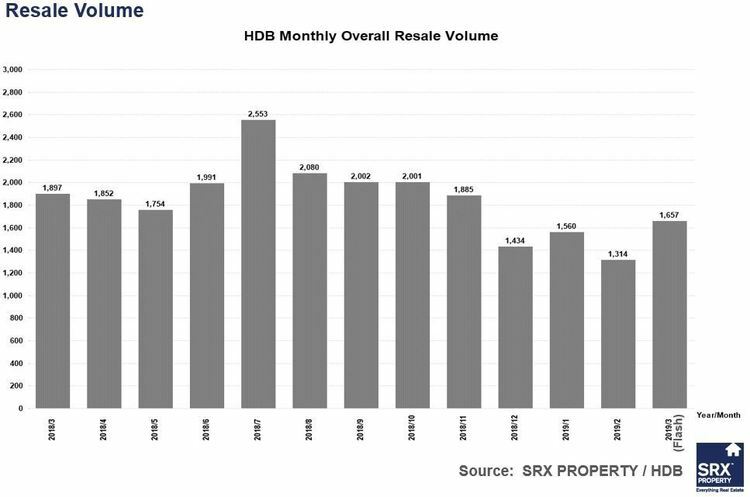 1,657 HDB resale flats were transacted in March 2019, representing a 26.1% increase from the 1,314 units sold in February 2019. 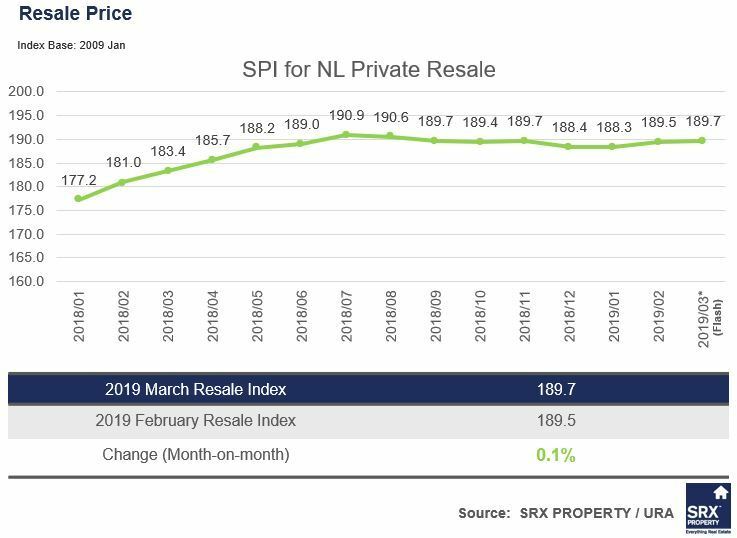 Year-on-year, resale volume in March 2019 was 12.7% lower than 1,897 units transacted in the previous year. 3. 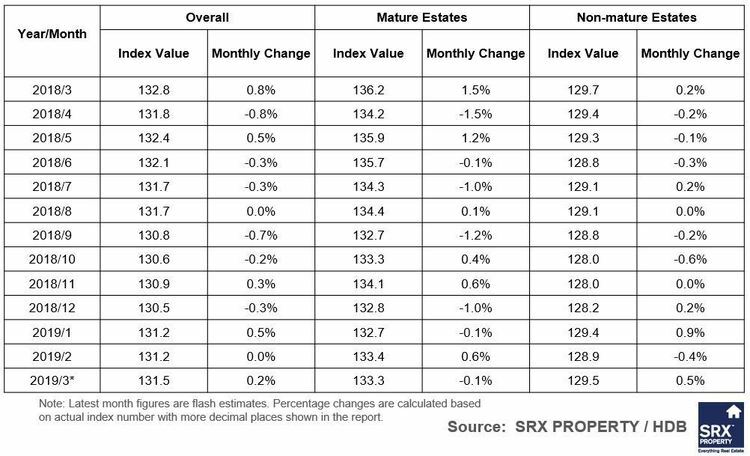 Overall median transaction Over X-Value (T-O-X) was ZERO in March 2019. This represents an increase of $1,000 as compared to February 2019. The median T-O-X for HDB measures whether people are overpaying (POSITIVE T-O-X) or underpaying (NEGATIVE T-O-X) relative to the SRX Property X-Value estimated market value. HDB 4 Rooms, 5 Rooms, and Executive flats witnessed POSITIVE Median T-O-X $1,000, $3,000 and $4,900 respectively in March 2019. 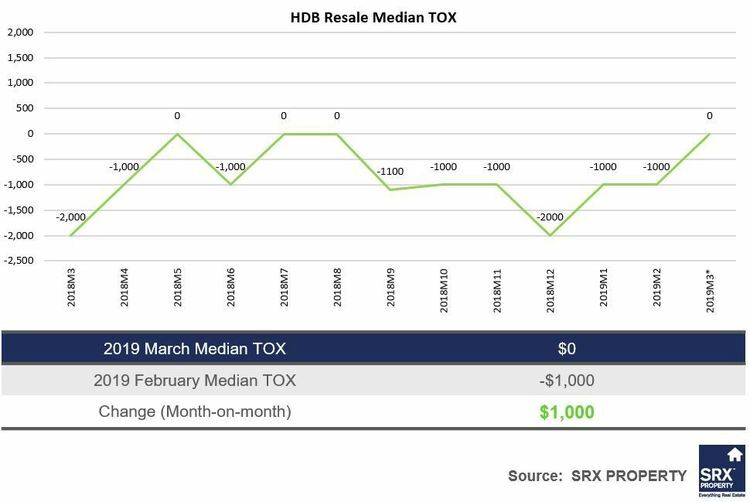 Only HDB 3 Rooms recorded a NEGATIVE $3,000 Median T-O-X. 4. 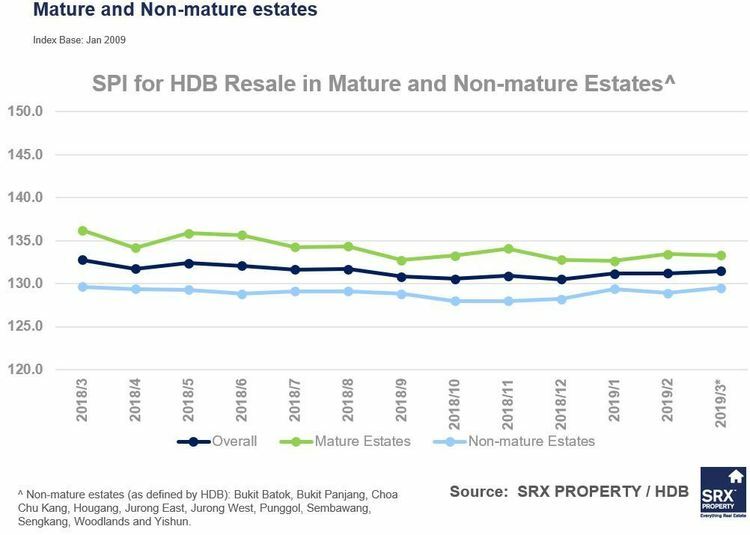 Pasir Ris posts the highest median T-O-X at POSITIVE $7,500 in March 2019, followed by Bukit Panjang at POSITIVE $7,000 (for HDB towns having more than 10 resale transactions). 5. 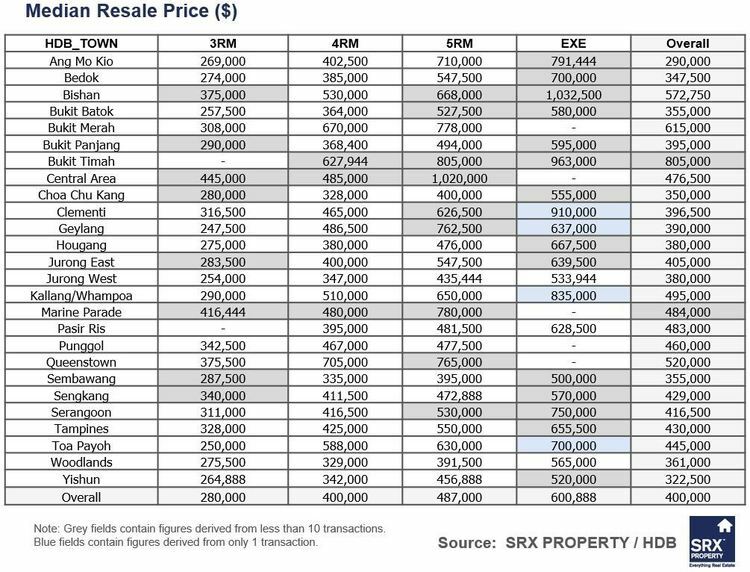 Queenstown posts the lowest median T-O-X at NEGATIVE $11,100, followed by Jurong East at NEGATIVE $10,600 (for HDB towns having more than 10 resale transactions with T-O-X).